Tim Bradbury hails from Stoke-On Trent, England, and earned a teaching degree at a prestigious London University, where he graduated with the class teaching award. During his time at the university, he captained the British Colleges Soccer team for a record four years. After completing his teaching degree, Tim played semi-professional soccer while pursuing a master's degree in sociology and education. Tim moved to the U.S. in 1986 to take a full-time soccer education job with Long Island Soccer Camp. Since that time, Tim has obtained all major coaching qualifications with both the USSF and the NSCAA, including both the NSCAA inaugural Master Coach Diploma and USSF "A" License in 1987. 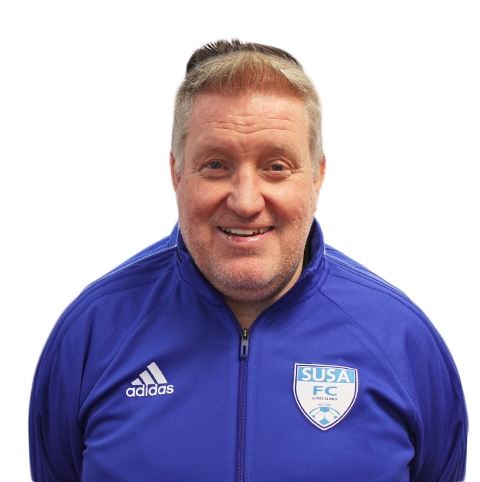 Tim has held head coaching positions at York College, Queens, where he was twice voted coach of the year, and for both LIJSL Select Program and Eastern New York Youth Soccer Association US Youth Soccer ODP Girls. Tim instructs on the National staff for both US soccer and United Coaches. Tim was part of the group that designed the US soccer Grass roots coaching licenses and is one of 12 educators of instructors that work for US soccer. Tim has presented 10 times at the United National Soccer convention and has been published in many popular coaching publications.